Bok-Bok-Bok, I’m not a chicken! Face your fears. Embrace them. Defeat them. With a certain degree of sensibility and caution of course. A good plan well executed. I drove some serious elevations last week and found analogies to running. Sheer drop off on the outside, carefully negotiating narrow switchbacks higher and higher. Unable to see the ultimate destination. Completely out of the comfort zone. Driving on faith. You can aspire to go higher with your running and racing. It will require you to push aside preconceived notions, move beyond your self imposed limitations. Be brave, take the leap, dare to fly. The rarefied air, the amazing views, the sense of accomplishment all worth it. 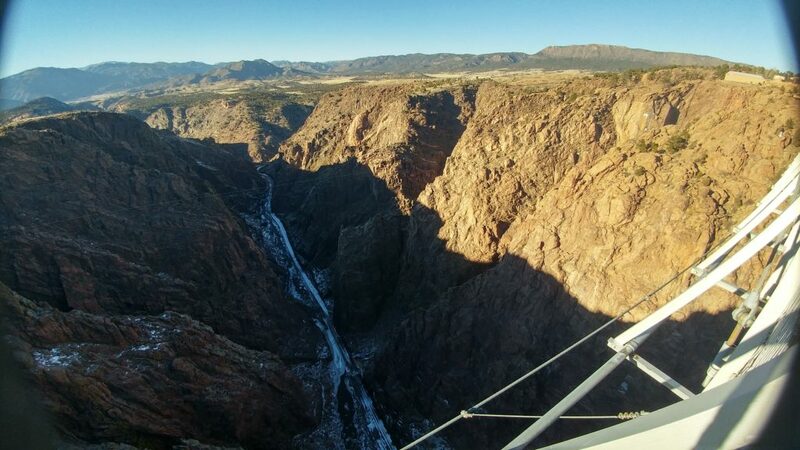 1053′ above the Arkansas River. Staring down my fears. Living a fuller life. This entry was posted in Uncategorized on February 4, 2019 by runguru.